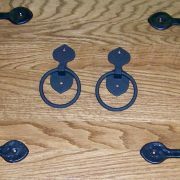 Carriage House Garage Door Decorative Hardware, Decorative Hinge Set. 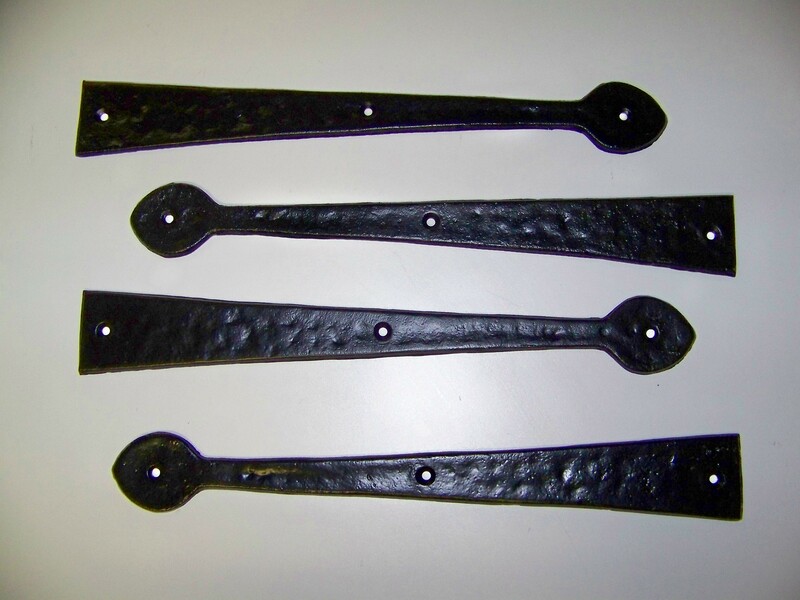 This is our most popular heavy iron decorative hinge. This hinge set is used in many of our decorative hardware kits. 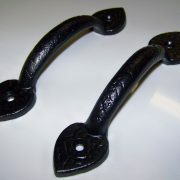 A very nice, heavy duty old world look to it. 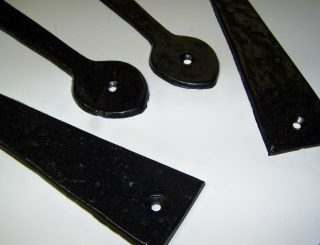 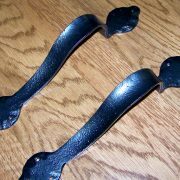 Powder Coated Black – Hammered Finish, Looks handmade by a blacksmith. 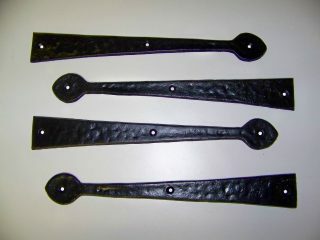 Heavy Iron – QUALITY HERE – Set weighs nearly 4 pounds, Very distinctive. 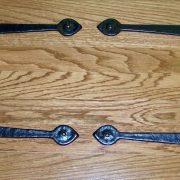 Be the first to review “Decorative Carriage House Garage Door Hinges” Click here to cancel reply.